This is a guest post from Neal Frankle of Wealth Pilgrim. If you like what you see here, please consider subscribing to his RSS feed. Have you ever wondered if it makes sense to spend big bucks on an undergraduate education or whether you should at least consider less expensive state schools or online degrees? 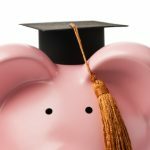 Some time ago, I read another blogger’s post explaining why college is worth the cost. 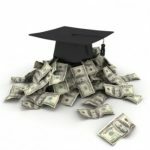 This particular blogger’s logic was interesting and unique — he calculated the added income received as a result of having a fancy degree versus what the student could have earned with the money in alternative investments. After all, spending money on college is an investment and should be evaluated as such. Right? He found that you (or your child or grandchild) usually do well by biting the bullet and spending the money. Let’s say, for example, that it costs you $200k to go to college. As a result of attending college, let’s further assume that you earn an additional $25k per year for the rest of your life. He argues that it’s a hands-down smart investment. As far as I’m concerned, the foregoing math is right, but the comparison is wrong — or at least incomplete. I do agree that college is an investment. It costs way too much money and takes way too much time to just be considered as an “experience” — or at least that’s how I see it. You’ll have one set of “experiences” at a prestigious Ivy League school, and a different set of “experiences” at a less expensive state college, and even another if you decide to become a student at one of many smaller graphic design colleges. There’s no way of knowing in advance which will be more important, or which will have a greater positive impact. No, the way to decide where to do your undergraduate work is to consider the extra income you could produce as a result of going to an expensive school vs. getting the same degree at a less expensive school. That’s it. And when you look at it that way, the result favors spending as little as possible on undergraduate school. The most selective — and generally most expensive — schools usually attract the brightest students. And you’d expect those bright kids to excel once they join the workforce no matter where they went to school, right? So the real question is: Do the bright students who attend top schools earn more over their lifetimes than they would have had they gone to a less prestigious and less expensive school? Said another way, are your lifetime earnings a result of who you are or where you went to school? Princeton economist Alan Krueger and Andrew W. Mellon Foundation researcher Stacy Berg Dale tried to answer this question. They looked at students who were smart enough to be accepted at the top schools, but who chose to go to less selective (and lower cost) institutions. What do you think they learned? Smart kids who went to the expensive schools were no more successful than similarly qualified students who attended less expensive schools. In other words, the student matters. The school doesn’t. Not convinced? Here’s a true story from my own neighborhood. My daughter just graduated high school. Her ultimate goal is to work on the business side of music performance. She was accepted at NYU, Berklee School of Music, and two state colleges. NYU and Berklee both cost north of $55k/year. The state colleges cost 75% less. A few months ago, my wife was talking with our neighbor about the situation. My wife didn’t know it at the time, but our neighbor’s two sons were recent graduates of the Berklee School of Music. When my wife told our neighbor about our situation, she immediately asked her two sons (living at home) to come out and speak to my wife. They told her what a great school Berklee was, and how much they regretted going there. Why? First, each child was now saddled with over $100, 000 in debt. They calculated that it would take 7 to 10 years to get out of debt. Second, while they were both working in the music industry, they were working alongside other recent graduates who attended cheaper state schools. It turned out that they didn’t need the expensive college degree to qualify for the jobs they wanted. My wife asked the boys which state college the boys’ co-workers attended. The boys told my wife that 5 out of 6 of their co-workers went to one of the state colleges my daughter was accepted to. Where do you think my daughter is going to attend? Here’s a hint: Go State! Do you think it’s worth selling a kidney to cover the cost of an undergraduate education? Why or why not? I believe the point of college is to teach you how to reason through things, and figure out the best answer to solve a problem. You can do that regardless of the school you go to. Some schools might be better at teaching this, but if you have the motivation and understanding on your own, then it doesn’t really matter if you are going to a top school. A little considered factor in price of a college education is the years it will take to graduate and the odds of graduating. Many private schools essentially promise to graduate a student in 4 years and provide a decent transcript. Some Ivy league schools will not flunk out a student or will allow poor grades to deleted. Grades are higher in Ivy’s because “the students are better” but actually it can be very easy to graduate with honors. Top private schools may have a 90%+ graduation rate in 4 years whereas the Univ of TX is is less than 40%. These figures are from US News & world reports college guides/rankings. I think my blue collar roots naturally incline me to want to lean towards the perspective that the student matters more than the school. Nobody from my family had ever attended college. I was the first. I went to what is now a very highly respected Catholic liberal arts college and found that the major I selected, the reputation of the school and some of my personality traits blended perfectly to set up my career path. My son, on the other hand, opted for a state college and I am perfectly satisfied with his decision. I’m sure that school reputation and networking will open doors in many cases but that the ambition and dedication of the individual will have the most impact. Neal, *what* post quotes from *what* study? The only quote marks I see in your original post here are ones around the single word “experience.” I don’t see any block quotes. Your “What do you think they learned?” paragraph might be taken for a paraphrase, but for the fact that it’s precisely the opposite of what Krueger and Dale concluded. In your followup, you quote from a press release, not the study, concerning a lack of benefit from “elite” [should be *selective*] colleges, but nothing relevant to the strong future earnings effect the study found found for *expensive* colleges. This is exactly the pattern I’m talking about: you attribute to the study a claim about *expensive* colleges that is quite the opposite of what the study actually concludes. To defend it, you quote a sloppily-worded press release (about “elite” colleges) which, even if had accurately described the study (concerning *selective* colleges), would not support your claim about *expensive* colleges. One more time with feeling: for accuracy, you have to check the source, which the press release is not. Because you didn’t do so, you go from the study having entirely different conclusions about “selective” and “expensive”, to the press release reporting only one conclusion and ambiguously referring to “elite,” to your completely reversing the conclusion of the study about “expensive”. I also tried to be diplomatic and I’m not going abandon that now. The post quotes from the study. I have neither made anything up nor misled anyone. Thank you for remaining civil. Neal, I tried to be diplomatic. Now I’ll be blunt. You claimed that Krueger and Dale’s study learned that, “Smart kids who went to the expensive schools were no more successful than similarly qualified students who attended less expensive schools.” In fact, we’ve seen that it concluded emphatically the opposite: they not only made more money, but made so much more as to realize an 18% IRR on the incremental cost! Your “could be” approach to making stuff up about what imaginary sources might say is what got you here. From what we can read here, you apparently made this up by misreading a press release about a study without bothering to invest the few keystrokes and clicks which would have let you read at least the abstract and, if desired, the study itself. This is when, to salvage your net.credibility, you might want to retract your claim, apologize to your readers and your blog-host, and resolve to read sources next time. That done, perhaps you can find and cite some research which differs from this conclusion. At one of my previous jobs, I worked with a guy who got his MBA from Notre Dame. My MBA came from a less-expensive school. He had mountains of debt that he was paying off, while mine was paid for through tuition reimbursement from a former company. We were both about the same age, and earning the same salary. So much for the power of networking. I wonder how many years behind in savings his Notre Dame MBA set him back. Without beating a dead horse, I think the article referenced a number of studies. It could be that some of the studies offered conflicting conclusions. Thanks for the reference to the press release, Neal. So this is the NBER paper that I cited, and it concludes that graduates of more expensive colleges do earn much more, after controlling for student quality. The increase in earnings was enough to constitute an 18% rate of return on that investment. Their surprising conclusion was that how *selective* a college is does not seem to correlate with future earning power — only how *expensive* it is. So the expensive but not particularly selective schools turn out to have a good argument for their services. That does not fit at all with what I’d have expected, but then, that’s what research is there for — to make us question what we’d always sorta’ expected. Again, I don’t like this paper’s conclusion at all, but that’s what it says. I think it’s a good example of why you should always read and cite the research itself and not a third (or fourth or fifth) party’s purported summary of it. You start with a paper that concludes “A and Z”; the university’s PR department puts out a release that summarizes it as saying something like “B”; a blogger refers to that as “C”; and then the blog thread diverges into claiming it said “D”, “E”, and “F”. At every turn, the writer moves the purported evidence one step toward their ‘druthers, at the end of which the supposed claims may be the opposite of what the research actually says. It reminds me of odd arguments based on tertiary Biblical translations that fall apart when compared to original Hebrew or Greek text. It would seem that the gifted minority student, the less gifted student who has a lot of money and can use their connections, and the person going into an exclusive job like investment banking would have the most to gain from an Ivy League education. For women, the situation is that more women are going to college than men. We’re headed toward the college educated woman who can’t find a man she respects, but has to work in a cubicle to pay her plumber. But if the plumber is great, maybe she’ll marry him and find that there’s more to life than college. I agree with poster 28. that high school needs to be upgraded. Great post! I couldn’t agree with you more. I have known many idiots from Harvard, Yale, and Columbia. I have also met and worked with many top notch state grads . . . It isn’t the institution, it is the individual who make the difference. PRINCETON, N.J. — Going to an academically elite college does not necessarily boost your earnings potential compared to a less elite college, according to a study by Princeton University economist Alan Krueger.. So this implies that college selectivity doesn’t matter but cost *does* matter–enough to give a “substantial rate of return.” Reading full text of the paper, it would appear to substantiate an argument that the very expensive, not-so-selective schools may be the best choice! Is there any source that actually backs the purported conclusion mentioned in this blog post? I’d have to go a little different direction – with all due respect. If you know you want to get into investment banking – or any particular field that has a very unique path, your suggestion makes sense. However, what if someone isn’t interested in becoming an investment banker? What if their goal is to become a teacher or what if they don’t know what they want to do professionally? Your suggestion really would not be too helpful to those folks. Decide what your career path is. You certainly could make the case that spending $300K is a good investment. But in the vast majority of the cases, the facts just don’t support the argument. I always have problems with these types of aggregate conclusions about the benefits of different colleges. I went to an Ivy League university, my family was working class and I had to take out a decent amount of loans to pay for school even after scholarships and financial aid. But at the end of it all, the loans became meaningless. I went to work in an industry that mostly hires from only the very top schools and pays more than any other industry. I’m in investment banking which I know is hated by the public these days. But how many other businesses can most 20-somethings earn well into six or even seven figures? None. I couldn’t have gotten into this business without my school. It’s all pedigree, my colleagues are all other alums from the very top schools. My friends I went to school with all ended up doing well, I know its not a varied sample but nonetheless now that we’re in our late 20s I’d say amongst my friends the lowest earner is making around $150k while the highest is over a million. One big problem with these analyses is they don’t take into account choices. My school like many Ivy League schools had a lot of very rich kids many of whom did not really care about making money. A lot of them went into very low paying but “fun” careers (e.g. film, writing, government, research, etc). While I suspect at lower quality schools the ratio of students there who are there because they want to find good paying jobs is higher since they have fewer kids from wealthy families who aren’t burdened by needing to make money. Second these analyses typically look at starting salaries or salaries a few years out, but those don’t vary too much. The big variations come when people are further along in their careers. The better and more useful study would be to look at the highest paying industries and see if they are over or under represented by Ivy League alums. I’ll bet you will see they are overrepresnted. In my industry which is the highest paying of them all, it is virtually all Ivy League and equivalent top non-ivy schools (MIT, Stanford). 1) As many have said, private can be cheaper. I went to an Ivy for undergrad, and it was very affordable for my family. I’m going to a top five medical school now, and it is cheaper than the unranked state school I was also accepted to. 2) I have no idea if this still stands, but my mother always liked to tell me about an article she read about this very topic. It said that for your average white person in the US, it doesn’t really matter where you go to college and you can get pretty far in life with a state school, but for minorities (I am one, fwiw), it matters a lot more to have that big name degree. I should try to find this article. 3) All this said, I think it’s pretty silly to go into a lot of debt for an undergraduate education, because it is so hard to have any idea of what your earning potential is going to be. I have no undergrad debt, but I’ll have substantial medical school debt if I don’t manage to get some scholarships. I am, however, comfortable with this, because with my medical degree, I should be more than fine in the long run. So as others have said, go to the best school you can afford and that you want to go to (at my top five med school, there’s people from all sorts of undergrad institutions). Education helps in a lot of ways and in some aspects helps learning technical things, but in a lot of ways it’s about growing up, learning about life, and using the college as a name and networking device. Money Energy (28)–you’ve hit the nail on the head with the bubble in higher education and the need to educate at the lower level. This is why we have an over abundance of white collar workers while many of the skilled trades go begging. Education is a life long process that has many facets, but for what ever reason, our culture has decided to reduce the issue to the single solution of a college degree. It’s an example of one-size-fits-all going out of control and leaving a lot of young people with a combination of high debt and surprisingly low income propects. I am currently a junior at a small state school and I absolutely love that I am only left with about 1 or 2 thousand dollars of debt after each semester here. I started out in a community college and transferred to the state school after a year. I would have to say that I was a big fan of the community college as well. The learning experience was excellent and the networking I did there was equally beneficial. The biggest lesson learned is that its about the student and how involved they are in their studies and school. I’ve made many connections with excellent teachers from prestigious international schools as well as prestigious schools in the states. My statistics teacher has a Ph.D. from UC-Berkeley (and this is a teacher from my small state school). It’s the student not the school. It’s the involvement. Like they always say, if you want something, you have to get it yourself. You’re not catered to in this world. Every man for themselves. All in all, I would have to say that deciding on which school to go to is another financial decision that a student must make wisely. It’s like deciding what kind of laptop to buy; you have to consider the cost, the comfort, as well as the benefits i.e. how much memory, battery life, the size, the hard drive. There really is no winner or loser in this discussion. I’ve stated my personal beliefs above (yes to an Ivy, no to a less prestigious private). But then I started thinking about my family’s experiences. My husband turned down Penn and Rice to go to UNC. He also turned down private medical schools for UNC med school. Just cause he chose public he isn’t making less money. In fact his public degrees have served him well (and we didn’t live in NC for the first 10 years of his working life). My father-in-law went to Cornell (on scholarship). He was Irish middle-class, but brilliant and full of personality. His Cornell degree has served him well – law school at UNC. He chose the judge route so who knows how much money he could have made? I don’t see that the Cornell degree would have mattered one way or the other – he was a fantastic judge because of his work ethic and personality, not because of any degree. My aunt-in-law went to private women’s undrergrad, grad school at Yale and law school at UNC. She is brilliant and very good at making connections. She is easily one of the top lawyers in the state and undoubtedly one of the top earners. Had she chosen UNC as her undergrad institution, too, I have no doubt she’d still be in the same position she is today. But she uses her connections in life – she’s the ultimate net worker and loves talking about her “Yale Days”. But again as brilliant and hard working as she is I don’t think the private undergrad and Yale degree would have mattered in her success. Again I think its dependent on your field, and the examples I provide above are law and medicine, where your work ethic mean as much as anything. I still stand by my original argument that very prestigious schools are probably worth the money, but lesser private schools probably aren’t worth it. To echo a few commentators concerns, my issue is not really with Neal’s post but more with the blanket statement that says ivy leagues are more expensive than state schools. So if you could go to Harvard for $10,000 and your state school for $14,000, which would you choose? Why? It’s easy to look at the sticker prices and scream “LUDICROUS!” but we should look at what people actually wind up paying. Endowments are a big deal! BTW, according to Washington Monthly, the “Top 10 Schools In America” are all public schools, except for Stanford. There is no such thing as “THE” cost of a particular school. Financial aid packages vary wildly, and to a some particular student, the cost of any Ivy League school may actually be less than the cost of a state school. For the top-tier private schools, tuition is just the list price, and the actual price may be much much lower. As in many other purchases, list price doesn’t mean a whole heck of a lot. I received my undergrad at MIT, and, because of my financial aid package, the actual cost to me wasn’t a whole lot different than my state school would have been. I definitely think the education at MIT was better — I’ve been a professor at a reasonably highly ranked state school, and there is absolutely no question in my mind that MIT provided a superior education to the university that I taught at. For graduate school in science and engineering — the school pays you (a small amount) to go there. It’s a job, and you get a PhD at the end of it. Here, the most important considerations are (1) your advisor, and (2) your department. The school is a distant third. For undergrads, don’t let cost be a tremendous factor in filtering out the schools you apply to. THEN, after you’ve been accepted, look at the REAL cost, after financial aid. Basing your decision on list price is just stupid. In some ways, I find this discussion wholly irrelevant because ultimately the kid decides for themselves what is the best college for them. I was one of those poor kids of immigrant parents who did go to an expensive little ivy liberal arts college. Out of the 8 “backup colleges” I applied to, this college gave me the most significant need-based financial aid package. I should note that I also went to an elite high school that granted me full scholarship tuition and benefited from their connections and reputation in order to get into that particular college. Therefore, I know from personal experience that attending elite schools does make it easier to get admitted to certain elite careers and grad schools. I also had lousy grades in public school (kids were bullying me all the time and the teachers couldn’t control the class), and thrived on the intense academic atmosphere at private school and at college. I agree that when it comes to just getting paychecks, it matters less where you went to school and more on the connections you make. I eventually chose to attend a non-named law school knowing that I wanted to practice in that particular state and also because I couldn’t afford taking on $100,000+ debt. But when I chose to move to another state to follow my husband – my law career did suffer. With some career choices, it helps a lot to go to nationally recognized schools because it opens doors across the nation as opposed to specific cities in which the state schools might have a strong connection to. But getting back to my first and most important point – if my parents, who never went to college and to this day, still have no interest or understanding of what my interests are – told me to forget applying to an ivy league because it was a waste of money (which they actually did when I applied to a private high school), I would have resented them for the rest of my life. I would also have missed out on the opportunities to challenge myself in a luxurious academic environment usually reserved for the elite and become friends with people who have similar interests. In the end, the kid makes a decision depending on their personalities – they decide how important it is for them to be in a certain college environment and their own level of commitment to doing well so that they can pay off their own debts. And of course, if they are lucky enough to get significant financial aid package (a few ivy league universities now pledge to cover the entire need based package with grants and no student loans) – then it would really be a shame to shoot down their dreams by being too pragmatic about finances before they even start applying. There really is no need to bash state schools or ivy league universities. They each have intangible benefits that a simple economic study can’t really capture. The scary thing from an educator’s point of view, of course, is that education seems to have been reduced to a consumer’s activity at all. The attitude of entitlement (eg., “I’m paying for this, give me my diploma”) burdens students and teachers both and causes a lot of problems – to the point of reducing educator’s work to teaching evaluations that become popularity contests, and farming out the real teaching to part-timers who can’t perform as well because they are paid insulting amounts and get no benefits. A related problem is that there’s a bubble in higher education. There needs to be more education, all right – but at a lower level in the system. Push it all down and raise the standards at the highschool level. Not everyone should be in college or university. It dilutes the value of higher degrees and just postpones valuations of excellence and life decisions. Canada and the U.S. both have too many lawyers and we have too many PhDs. For quite a long time, even though I went to one of the premier “Non-Ivy” Ivies, I was against spending a lot of money for an education unless it did three things. One, it needs to be affordable FOR YOUR SITUATION. There is a difference between spending $200k on an education if you and/or your family have it and if you/they don’t. So, since for most people this isn’t true, it was a reason against it. However, one should work as hard as possible in high school and excel both academically and in their extra-curricular pursuits. Two, if one went, it was important to pursue a field of study with a likelihood of giving you increased wages relative to cost to acquire elsewhere. This DOES NOT need to come at the expense of studying a passion. One can and should do both. I think it’s best if the student study both a very applicable field and one that they are very interested in. If one isn’t willing to do this, go elsewhere. Three, if someone sincerely doesn’t want to work hard enough to stand out at the premier institution, then they should go elsewhere. It should be for the true elite (in terms of educational desire and work-ethic, not financial resources). As an addendum, if one is going to pursue something that requires graduate work, then they should strive to graduate from as premier of a university as possible. This is because admissions counselors care more about that stuff than an employer might. However, I’ve softened my stance on the affordability question, though not by much. I’ve actually had two employers tell me to my face that they pay me more ($10,000/year in one job and $22,000 in the other) because of where I went to school. It showed them that I’ve always had a commitment to excellence. Now, I don’t necessarily agree that their conclusion is 100% valid, but you didn’t find me arguing, that’s for sure. The simple view: One should get as good of an education as possible without burdening themselves with overwhelming debt, excel at whatever they do, balance practicality and idealism, and seek to do some good at least along the way. BG, there’s no need to call someone who disagrees with your views a “poser.” You should think about that. Most of the time someone draws an analogy (such as education is the same as housing), there are usually many underlying exceptions. In this case, I agree with your statement about if you have one good option, why pay more for the same. However, many times at many institutions and in many fields, a specific degree from one school, though it may cost more up-front, is a better long-term value. Many times, in education, more expensive does offer a better education. The question is, does that difference actually matter? Will it result in making more money? I think it does more than people might think, but they have to answer that for themselves based on their field and desires. If one doesn’t know what they want to do and they don’t have financial resources, they should not stretch to a more expensive education just because they hope they’ll make more. That’s a very expensive and potentially life-altering mistake. But, in the end for me, go Northwestern. I have 2 degrees (undergraduate/masters) from pricey private institutions. I was fortunate to have a large scholarship to pricey private school number one – and paid for my masters almost completely on my own. Yet the one I regret is my undergraduate degree. I chose a cutting edge engineering field, and attended a school with a top ranked program in my field – the faculty were excellent, and I learned quite a lot. The problem that I found when I graduated was: noone really wanted to hire a new graduate to do anything interesting on the ‘cutting edge’ – most companies I talked to really didn’t care that much about where my degree came from, just that I had it. So I was out (after my scholarship) 60k. I could have been in virtually the same boat attending a slightly less excellent state school – and saved myself all that money. Fast forward a few years of working, and I went back for my masters, and I was able to attend the 2nd ranked school in my profession – which cost me another 50k after grants etc. This one was worth every penny, though. This time I had the professional experience to be able to get an *important* (important is key – being assistant bottle washer for a nobel prize winning faculty isn’t that big of a leg up) position in the lab of one of the leaders of my field. When my graduation was looming, my lab director asked me what project I wanted to work on. I told him – and I had a very good offer on my table, from my choice project, within the week. I am still the same person that attended both colleges – and I worked roughly as hard both times around. This leads me to say this: Get your undergraduate degree from the ‘optimum’ cost/benefit ratio school. If you plan on pursuing an advanced degree (law, medicine, PhD, or Masters) you can invest your money there – where you really will be able to stand out; if you don’t plan on pursing an advanced degree, an Ivy diploma isn’t going to give you enough of a benefit to make it worth the cost. The reason is this: as an undergraduate, you simply don’t have the visibility (the vast majority of students, anyways) to make more than one or two good connections with the faculty, and the students you connect with end up in essentially random professions compared to their majors. Think about it. Lets say you had 20 ‘really good connections’ from college, but they were totally randomly distributed across different professions – what are the odds that you will be able to make ‘use’ of that contact – that you will be in the same profession. As an advanced degree seeker, its a whole different ball game. Most people in those degrees are commited to their career paths – meaning you are going to get a way higher return on your ‘connection’ investment. You are going to be seen at a much higher level by the faculty as well – a key way of getting more, positive attention. BG (23)–Your comment was brilliant in it’s simplicity. The study did not look at high cost versus low cost colleges. The study in question found specifically that the ‘elite’ or ‘more selective’ colleges were not a determining factor in the wages of graduates. The determining factor was the aptitude and ambition of the individual. It can certainly be economically advantageous to go to a more expensive school. Obviously, if you are low income and you can get a full ride to Stanford or Harvard then you’d be an idiot to say no. The study in question also found that the exception is that low income individuals do better by going to more selective schools. This may be because of the connections there opens more doors that are currently closed to lower income folks. Of course there are always exceptions to ‘average’. The study is all about the average. If you want to become an elementary school teacher then paying full tuition at Dartmouth is a waste of money. If you got 175 on the LSAT and want to be a corporate lawyer then going to Harvard is a MUCH better investment than the cheapest law school in your home state. Education is like housing: why do you want to pay more than what you have to? I don’t want expensive colleges, and I don’t want expensive houses. Why do people think that more expensive somehow means better? If a public in-state school has a good curriculum for your field of study and is 50% cheaper, why would you not go with the cheaper alternative? A private education is a luxury: you can have it because you are rich, not to become rich. Quit being posers, and act your wage. You overlooked the value of being in an institution where education is valued. Too often colleges are attended by people who aren’t necessarily looking for an education, perhaps they’re looking to delay entering the work force or perhaps they buy into the media images of college as one big party. It takes colleges a while to sift through the riffraff. When education is costly and it’s your nickel you take it much more seriously and you are surrounded by others who also value education. State schools do their best but they have a harder time finding students who are there to learn. That being said, you get out of it what you put into it. I’d pay extra. People who don’t have MBA’s bash the validity of an MBA degree all the time. It’s self serving at the end of the day. If you’re going to an expensiv private school to study a career not in finance, consulting, law, medicine… then it’s definitely better to go to a public school all the way. And even if you are going to the bigger monetary fields……. I’d be happy going to UC Berkeley, UCLA, UVA, William & Mary, UNC and other fine public school institutions over ANY private university. After you’re in the door, it’s up to you. Most expensive doesn’t mean most fancy. And most fancy doesn’t mean most expensive in today’s financial aid world where the most elite are often the most affordable. This article has the unfortunately fatal error of conflating the two. There are a whole lot of stupidly expensive mediocre private schools. Everyone knows that. So, the study showed they don’t help. Whooptie do. Might as well do a study on the financial feasibility of a private school music degree, like you did. Neal–You know you’ve written a great post because it challenges conventional beliefs, in this case the thinking that “you pay more, you get more”. There’s no substitute for talent and motivation. Period. A talented and motivated person is likely to come out on top whether he goes to a top school, a state school or even no college at all. College in general, and high end schools at the extreme, are largely a hedge against a lack of talent and motivation. But it’s also why so many people are working in fields they aren’t suited for, or end up straying into fields that aren’t related to their degrees, or to any degree at all. Perhaps the time has come to question the wisdom of paying 10s or 100s of thousands of dollars to educate a young person in a field he’s never worked in. Now that millions of people have degrees, a college education is no longer the guaranteed ticket to the upper end that it used to be. A lower priced college at least reduces this risk. I think, though I don’t have any data to prove it, the networking aspect is a myth. You network with people you actually know, not people that just happened to go to school with you, whether it’s Yale or State. Having a lot of people in a network doesn’t matter if you don’t know them. Would you put yourself on the line for someone if all you knew about them was they went school the same time you did? College name only really matters the first few years out, after that it’s more about what you have done and what you can do. Also, I’ve heard a statistic that 10 years out of college, 80% of people are doing something unrelated to their major. How many people do you think are still paying off loans on a degree they no longer use. A degree is only worth what you can do with it. A homeless man, even if given a free pass to Harvard, would not have the socio-economic status to maximize any ‘connections’ attained through said Ivy league school. Be realistic. It is very difficult to buy your way into upper class society. Many parents and young people think that purchasing an Ivy School education will propel them into the upper echelons of society, when it is not true. Basically, it boils down to, you gotta have big money to make big money. But for those who don’t. Live within your means, give to your children as much as possible, and hope that the next generation of your family is better off. I find it fascinating that several people have continued to push the contacts/networking angle despite the findings of the study that Neal referenced. So… Is the Princeton study flawed or otherwise inaccurate? Or are people simply extrapolating from their own anectdotal experiences? On the one hand, I doubt that the study truly compared high end schools to the “average” state school. Rather, for the types of students surveyed, I’d be willing to bet that those that went to a state school went to a much better than average, flagship state school. Neal didn’t ask if one or the other was best for a specific person. Rather, his question deals with the population as a whole — i.e., the average outcome. Great comments. Depending on the field, ivy name recognition can help get an interview–increasingly difficult these days. My brilliant kid went to Princeton for a couple of years, but dropped out to go into business (technical field). Even though he didn’t graduate, just going to Princeton got him in the door and on to a highly successful and lucrative career. (Of course he really is brilliant and a workaholic.) No regrets on spending the money to help him find his path. HOWEVER, for a kid who is interested in less business-oriented fields, it probably won’t help as much. When I was born, my grandfather set up a fund with which I could have gone to any college, including Harvard which was my goal. I’ve been to Harvard, but not as a student. Along the way, I figured out a few things. I always believed a college degree is a waste of money. After five years, I dropped out of high school. A dozen years, wife, and child later, I decided to test my theory. After all, we had money in the bank and Uncle Sam’s VA benefits would pick up close to 100% of the tab for school, books, and living expenses. I thought it would beat working for a couple of years, and it sure did. Two years — and two degrees — later, I began to test my hypothesis in earnest. Now, after another 29 years, I can say a degree is basically worth nothing. (Ask Bill Gates.) It is what you LEARN (versus “education”) that counts, along with how you apply it. I would have gone back to college in a heartbeat if I could figure out how to get paid at the same rate for another 10 or 40 years as a college student. Since a degree, per se, has little value, I submit the source of the degree has less value. There’s quite a bit of evidence which seems to support this — and the research which generated this article examined the evidence. Many folks have come a cropper when the diploma mill source (or fabrication) of their degrees became known. Sometimes they were fired after many years, even decades, of successful job performance. They did not lose their jobs because of inability, but because of the fabrication of their credentials. Having a cheap — or no — degree made no real world difference, apart from the obvious ethical issue. It follows, then, that the ivy league/state school dichotomy sifts out in favor of getting the most bang for your buck, and that no amount of ivy actually improves what goes on inside the walls supporting the ivy. Developing the knowledge comes easier for some people than for others. So, if you’re going to get a college degree, the first real world exercise to demonstrate your ability is to get the most bang for the buck. The music school example of new hires with expensive degrees working alongside new hires with cheap degrees pretty much plays out in every area of endeavor. Engineer, accountant, MIS, or whatever — those folks with high priced degrees and some honesty will admit they had peers with el cheapo degrees. There are lots of ways, if you think you need a degree, to get one of high quality and low cost. One option I didn’t notice anyone considering is a “hybrid.” Obtain the maximum number of credit hours possible somewhere else — then TRANSFER THOSE CREDITS to whatever fol-de-rol school impresses you the most. Get yourself a Cadillac or Mercedes degree for Chevvy or VW money. In many large college towns, the community college down the road are staffed with a high percentage of professors and lecturers who teach the same courses at the other school. In a case like that, there can be absolutely no argument that the math or English course at Socheap College is any less rigorous than the equivalent course at Bigbux University. On-line learning has already been mentioned. There are other alternatives. I didn’t notice anyone touting the CLEP or AP route to accumulating max. hours at min. cost. Some colleges will allow 1/3 or more of the required hours to be obtained by examination, at an extremely low cost for each test. Obsolete textbooks from the dollar bin have all the information you need, to successfully pass the test. Even better, condensed study guides present the core information in a more readily digested form. I often earned as many semester hours of credit in the weeks BETWEEN semesters (I went year round.) by examination as my peers did during the months of a normal semester. If you think you need to rub elbows with someone highfalutin, get a job working at a campus book store or a favorite eatery while you’re going to school down the street at the local community college. Or, get your degree, then a lecturing position which allows you to interface with undergrads while you’re working on an advanced degree. I noticed someone argued that the upper crust schools will have better recruitment opportunities. I submit that equal — or even better — opportunities can be found on the campus of a predominantly minority school. In order to avoid accusations of discriminatory hiring practices, many companies work hard to recruit from such schools. Attending one of them has several advantages. First, they often have lower entrance requirements. Second, they have the active recruitment. Third, it may be easier to stand out and get the attention of the recruiters at one of those schools than it would be at an ivy league school. I’ve hired kids with fancy degrees and I’ve hired ’em with no degrees. The ones who I keep and promote are the ones with a serious work ethic, a good head on their shoulders, and an ability to turn knowledge into production. Yes. I have promoted a guy without a degree over one with a well respected degree. I totally agree, based on personal experience, with what the study found. It amazes me that so many people are so easily duped (or self deluded) into imagining it might be flawed. A fancy degree is NOT worth it to many who do not have fancy degrees, and generally IS worth it to those who do. Think about that for a second. In “Survey Says: Get 1300 On Your SATs and a 3.9 GPA and You’re Set For Life!” I argue that a fancy degree is in fact the secret to making a lot of money. 10 years out of school, I now believe going to the best school as possible is pretty critical to success. This is coming from someone who went to state schools all his life, including graduate school. That said, the #1 school in America is UC Berkeley according to a latest survey. It’s what you make of it. But, if it was a choice between Harvard and State U, go to Harvard despite the debt. It’s about connections, connections, and more connections. I love this topic Neal/Nickel… keep it up. 5CN, my experience mirrors the comments in your article. I also appreciate the opposing views, though disagree with them, especially in regard to networking and connections. At 35, I decided to go back to school for a BS and a MS in a science field. I looked into many schools but narrowed it down to 3 schools, 2 private with excellent reputations (with one considered to be one of the best) and a state school with a similar program. For reasons stated above and a few others, I choose the state college and now, 17 years later, have never regretted it. My earnings are at the top (if not the top) of my field and have made connections both while in school and since school that were based on some of my work and projects while in school, that have also made a huge difference. These include connections in the world of high finance, corporate America, and national, state and local governments that have all benefited my career and professional and personal life. While I may agree that for some people, in some rare situations, in some fields, if you have the opportunity to go to the best school/program in the field, then maybe go, but otherwise, it may not matter. In addition, while some of these top schools may offer more opportunities to network and connect with others who may make a difference in the long run, in the end, it will still and always come down to the individual, not the school. Given the opportunity to do it again, I would, just as I did before, and would recommend most others make a similar choice. Normally I’d agree with you, but I think the exceptions are the Ivies and certain prestigious schools (public & private) with reputations (Stanford, MIT, etc). I attended the University of North Carolina. I turned down Wake Forest, Davidson and a few other private schools. I simply couldn’t afford it and I knew I was going to be a liberal arts major. I might have made valuable connections at Davidson or Wake, but I probably made more at NC. That degree has served me well. However if I had the chance to attend one of the Ivies I would have been there in a heartbeat. I just don’t understand why people take on debt to attend mediocre private schools. When I lived in Memphis I had a friend in his late 20s still paying for his degree from Millsaps and several other friends paying for Rhodes. Those are good institutions, but not good enough that those who have to pay for years afterwords should attend. #7 – Interesting… have your Ivy League connections really helped you in your career? How? I’m not trying to argue….I really would be interested to know. I’m sure they help some people…but not everyone. I think the knee-jerk reaction to go to the most expensive school you can afford is misguided. Granted a smart student will succeed in an ivy or a state school, however a student should try to attend the most prestigious school they can get into/afford simply because it leads to better job offers and an actionable network. I think the key is – and this is where young people often make mistakes – is that students should try to monetize their degrees. There are certain degrees from certain schools which almost inevitably lead to higher salaries and prospects. Other degrees from similar schools may not provide the same benefits. So depending on oneâ€™s career path one should try to get the most bang for the buck. Ultimately a student should have a career goal by the time they get into college and have a strategic plan to achieve this goal. However that is easier said than done. #5 & #6, You are right. If your goals are other than to maximize earning potential, it would be wise to shop for the experience you want. You have to decide if it’s worth what it costs you. If money isn’t an issue….go for it. The study indicates that “the doors that are opened” aren’t worth the cost however. Those indeed are the facts shown by this study. This article slamming Ivies could only be written by a state school grad. Ivies are a world of difference in the people you meet and the doors that open to you. That’s just the way it is. The alumni networks, your classmates, they are your lifelong network. Is that what you call “experiences”? Is the keg party that different? No. But the people you went to the keg party with will eventually be the hedge fund manager and the corporate lawyer, which just isn’t true at the state school. Sorry. It’s not. Ivy financial aid today is a far cry from what it was when I went. If you really are disadvantaged, it’s often cheaper to go Ivy. If you want to slam expensive schools, at least get the facts right and maybe up to date to, say, 2005. Now a music degree… That’s another issue. Private schools (Ivy League or not) often have extensive financial aid that can make the gap between state and private less big. Depends on the family and their situation. Deciding between a “name” school and a state university is one thing, but consider the real differences in educational styles between the two schools. At a large university 100 level courses are often taught in HUGE auditoriums by TAs and 400 kids. Smaller private schools often have limited courses and faculty. I’ve known students who floundered at a big university because their learning style was more suited to a smaller school and I’ve known students who were bored by the options at a smaller school. I think it’s much MORE important to try to assess the student and how well they think they will do with a particular environment than to think about ivy vs. state schools. Sure, a student bright enough to get into both is more likely to do well with whatever they do…but with a study like that there is too much self selection to really know. If student A picks a state school over an ivy league, maybe it’s because they know they can do well there. This is sort of rambly, but the point, I guess, is that picking a school based on the name is probably not worth it, but picking a state school solely because of the price is not a wise move either. There is a HUGE range of options between the two examples in this article. People go to expensive schools with different goals. Expensive schools (so not the state colleges) offer better research fundings and generally cutting edge research professors. You have to realize it’s not always about money. If your goal is just to get a degree and be done with studying, then choose the cheaper options. Perhaps the title of this post should be “Why a College Degree from a Fancy College isn’t worth it”? Well said. She’s majoring in finance…YES! You both suggest that the contacts made at the Ivy Leagueschools are the real “payoff”. I would have to agree that is a true difference. But the Princeton study shows that people of equal intelligence are as successful regardless of where they go to school. Also….somethin just feels inauthentic about going to a school just to make the “right” friends. At least that’show I approach it. Maybe I’m naive. I’ll keep my feelings out of it and just go with the Princeton study indicating that the “relationship” value of Ivy League schools isn’t worth it. What is learned at top tier schools isn’t any different than the curriculum at state schools. The difference is who you meet. If you can’t pull off paying for the Ivy League, you might as well just get a job and get a degree online. Most state schools offer an online option these days, so work, pay for school as you go, and reap the benefits of that sheepskin. What about the real advantage of networking and relationships built at the expensive schools? The contacts made at an Ivy League or targetted institution provide the potential to make much more money by having a much more connected network of high performing and powerful people.